The Beatles animated movie Yellow Submarine contains a wealth of Beatle classics, released between 1965 (or 1966 if you are American) and 1967, as well as three songs recorded with little enthusiasm specifically for the film, and one song recorded for Sgt.Pepper's Lonely Hearts Club Band but rejected. Two songs were taken from Rubber Soul (or Yesterday...and Today if you are American), three from Revolver, and five from Sgt.Pepper's Lonely Hearts Club Band , as well as both sides of the All You Need Is Love single. A couple of attempts have been made to release official soundtrack albums. The first, released as Yellow Submarine on 13 January 1969 in the US and, as Yellow Submarine (Nothing Is Real) on 17 January 1969 in the UK, included the four new songs, along with the title track (originally released on Revolver in 1966) and All You Need Is Love (originally released as a single in 1967, and on the American album Magical Mystery Tour). It also contained seven pieces of incidental music by George Martin, much as the US versions of A Hard Day's Night and Help! had done a few years previously. However, where those albums had scattered Martin's orchestrations amongst the tracks by The Beatles, here they were confined to side two of the album, with all of The Beatles' songs on side one. The second attempt at a soundtrack album was Yellow Submarine Songtrack, released on 13 September 1999. This compilation gathered most of the songs used in the film, but omitted Martin's incidental music. All of the songs were remixed from the original multi-tracks using 1990's digital technology. Although the songs were all re-released in their original 1960's stereo mixes in 2009, these remain the best versions of these songs available. The technique has only been repeated once, when The Beatles' greatest hits album, 1, was remixed and re-released in 2015. Yellow Submarine Songtrack is also the only release of a true stereo mix of George Harrison's Only A Northern Song. The original version was only ever mixed in mono, due to a complex recording process that required two 4-track tape recorders to be synchronised manually. 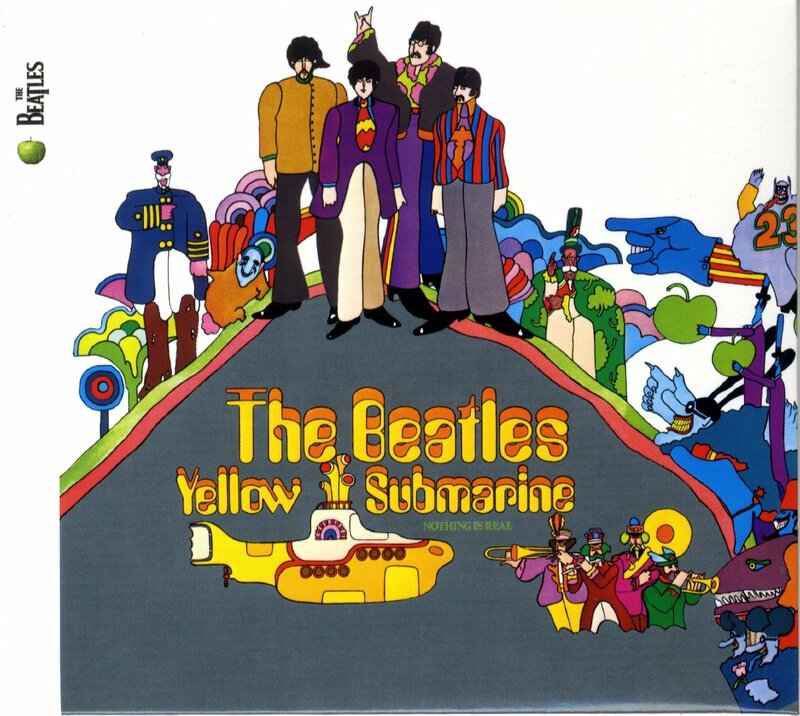 A fake stereo version was made from the mono mix for the original Yellow Submarine album. By the 1990s, all of the tracks from both sets of 4-track tapes could be synchronised digitally to create the first stereo mix of the song. 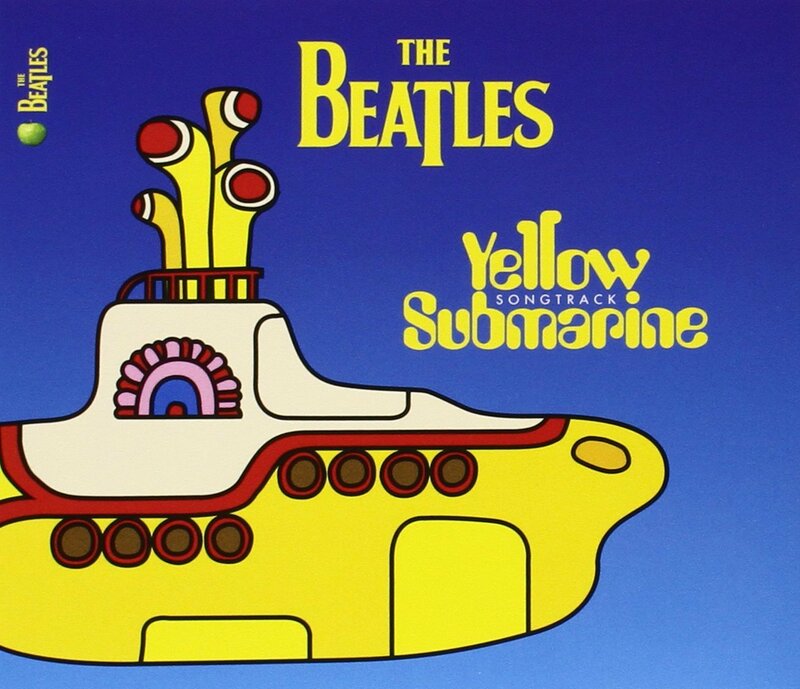 Yellow Submarine Songtrack omitted A Day In The Life, for fear that the album almost constituted a remixed version of the Beatles' classic 1967 album Sgt.Pepper's Lonely Hearts Club Band. The version suggested in the playlist here is from the Blue Album, which omits the cross fade from Sgt.Pepper's Lonely Hearts Club Band (Reprise) on the original Sgt.Pepper's album. This version was prepared for the 1988 documentary film Imagine: John Lennon and originally appeared on the soundtrack .